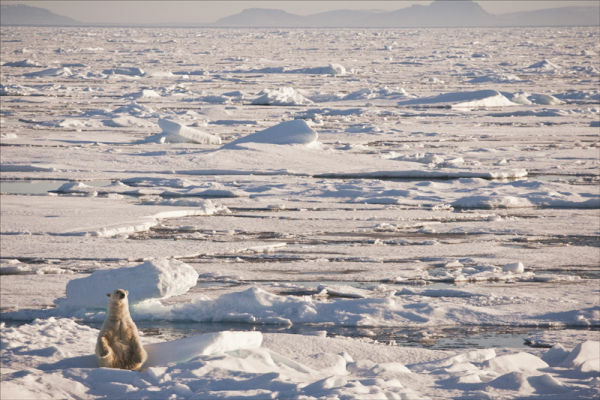 This Polar bear completely at home on the pack ice. Totally adapted to this enviroment, the freezing temperatures, the changing fortunes that it brings too. This large male had hunted well.